Established in 2015, the mission of TMP Beach Volleyball Club is to develop their athletes to be competitive on the beach at the national level. In Minnesota, we are striving to make an impact in beach volleyball through exceptional coaching, collegiate-run training camps, and passionate, motivated players. Outside our state, a player might easily choose their primary volleyball focus to be beach. However, in Minnesota, quality beach opportunities are not as prevalent and players tend to focus on indoor/court volleyball. 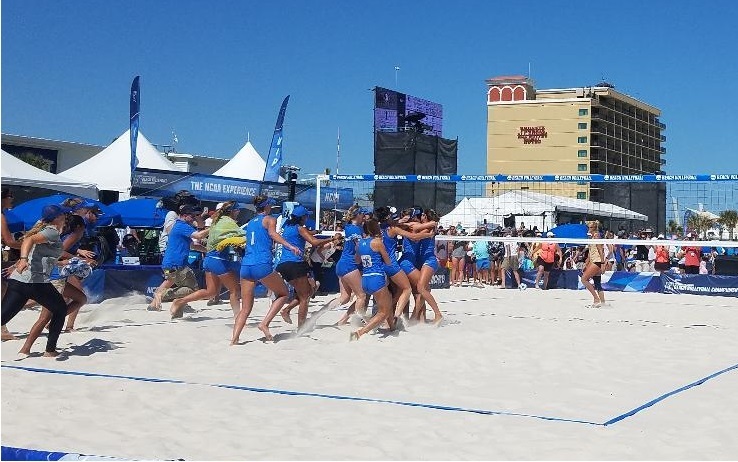 TMP Beach players know there doesn’t have to be a choice; more importantly, they recognize how much their beach game contributes to and elevates their indoor game. Karch Kiraly, author of Beach Volleyball and the current head coach for the women’s indoor Olympic team, speaks directly to why outdoor players make better indoor players: “More and more, indoor players are specializing. For example, a 6’10” guy (or a 6’3″ girl) today will probably be put at the net to hit and block. There’s a good chance he will be taken out of the serve reception entirely and given a very limited space to defend. He will never set the ball unless it comes to him by accident. In contrast, that same big guy is going to learn defense and ball control in the sand, whether he wants to or not.” The opposite also holds true for indoor shorter players – they do not get to attack or swing, as they are are usually subbed out for taller players. At TMP Beach, players develop an entire set of skills, not just a particular or specialized position. Players touch the ball every play at least one time because they are involved in every volley in every set, acting as passers, setters AND hitters in a single volley. In addition to the foundational skills and techniques, offensive and defensive strategies are effectively honed and curated. Mental fortitude is challenged and strengthened. The higher level performances are tied to personal growth and achievement, rather than a score. April 8th at 7pm. Location: Lindbergh Center at Hopkins High School, Room N205, See map. Approximately, 1 hour. Practices: Our practices start around May 1st and are located at Maple Grove High School on Tuesdays and Thursdays. Dred Scott Park in Bloomington on Mondays and Wednesdays. The last week of practice is the last week of July. Partners: Primarily, players choose their own partners. For athletes who do not have or looking to play with different partners, the coaches will attempt to locate a partner of like age and skill level, but it is up to you to secure a partner for each tournament. Cost: Team Fees are $350 per season. Team fees include unlimited practice sessions, 2 jerseys, 1 sarong, and AVP America membership (Insurance and national ranking) Each tournament is around $70 per team or $35 per player and are optional based on players schedule. Day camps range from $100 to $280. Private sessions are $70 per hour. Click here link for frequently asked questions or if you are interested in playing for our club, contact Stephen at 612-741-0982. All events are optional for team members, all we ask is that team members do their best to support our local events. For additional local tournaments, visit SAVA, Surface VBC, or Vital Sand. The fall/winter season is about learning new philosophies, trying new techniques, and getting ready for the next year. Events are about preparing athletes for the next season or in the case of our Christmas events, getting back out on the sand and learning new concepts around the game. This is an individual training program. We are emphasizing off-court training and long-term skill development. Secondly, we do not encourage playing with a partner. These events are not meant for getting ready for competition, but expanding your skill set and boundaries related to on and off court development. Cost: Day camps range up to $280. Private sessions are $70 per hour. Private sessions are $70 per hour. If you are interested in our 2v2 indoor sessions, contact Stephen McCarthy at 612-741-0982 for additional details. 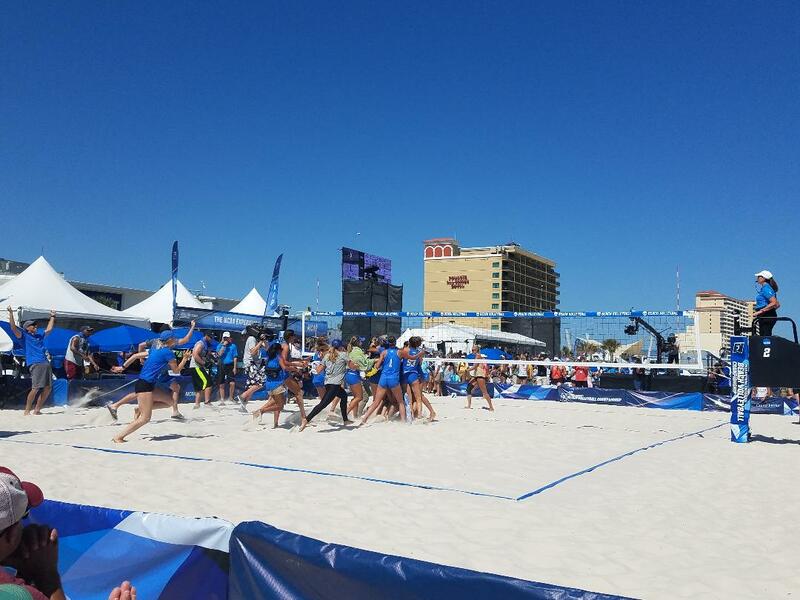 Tournaments: One day tournaments for juniors or adults sanctioned by AVPAmerica. Junior Events include age groups U14, U16, and U18. All events include AVP points and a national ranking for AVP Nationals. The majority of the events are girls only, see tournament details to verify if a boys division is offered. Adult Events are for athletes over the age of 14. Events can include coed, male or female open, AA, and A divisions. AVP points and a national ranking are included based on results. 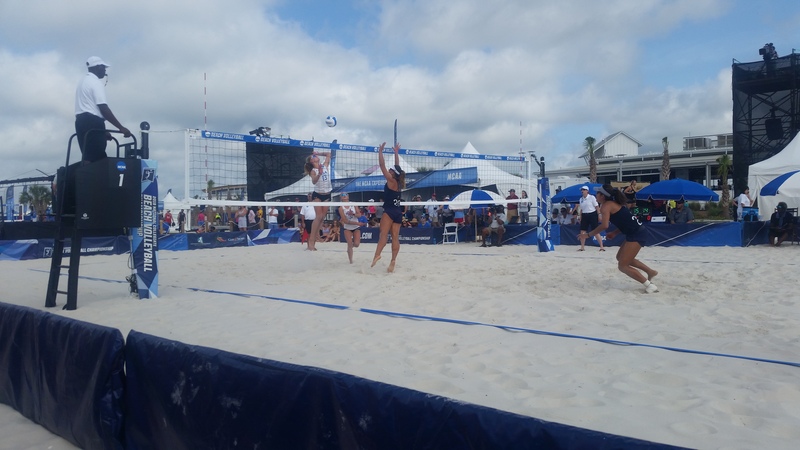 ProjectU Collegiate Beach Clinics and Showcase Tournaments: Two day events with a clinic on day 1 and a AVPAmerica-sanctioned tournament on day 2, College coaches in attendance. 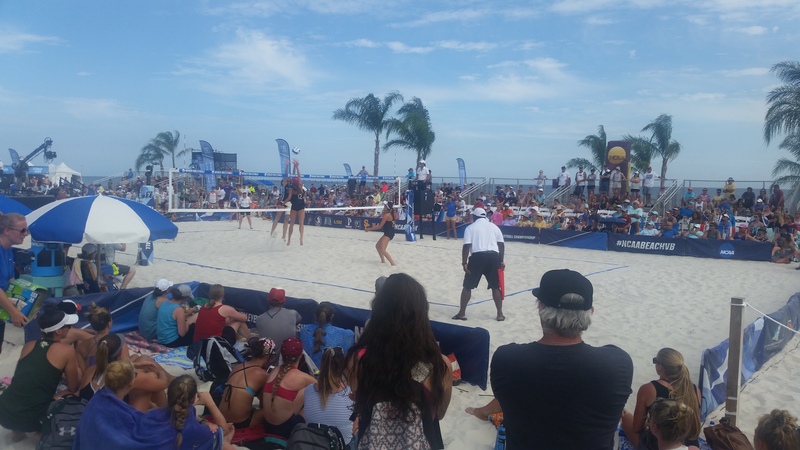 ProjectU Minnesota Beach Clinics: Two day events with a clinic on day 1 and day 2 that features a top collegiate or pro beach volleyball coach. 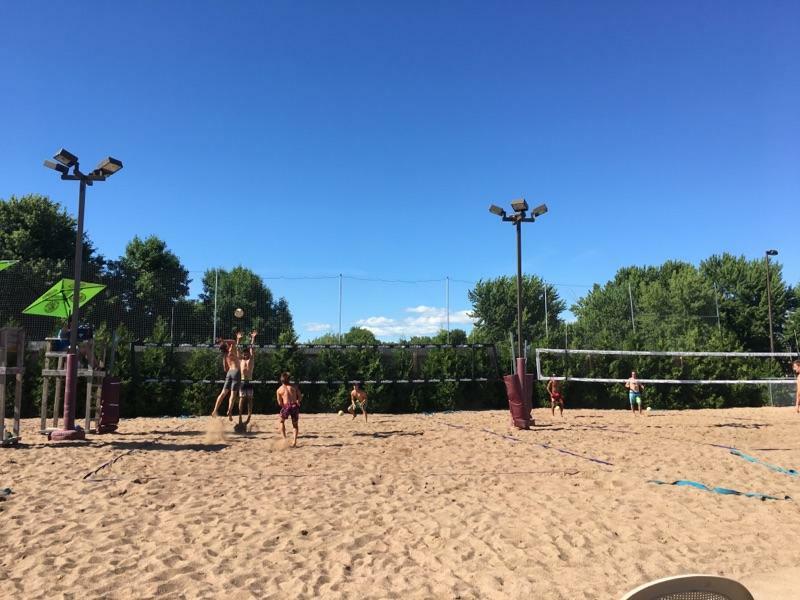 For additional information on our beach volleyball tournaments, call Stephen McCarthy at 612-741-0982.